And just like that, I remember the Sunday farmers' market and all those fruits and veggies filled with freshness and flavor. I wanted to buy every kind I saw. Yes, I have committed myself to buying locally and seasonally often as possible. I may not be a farmer, but I truly admire their labor and hope one day to live on a farm with a big garden or an orchard :) I think about the ripe fresh figs I bought from a local "fig pig" who grows figs trees in Ontario. True, Ontario is colder than France, but even here the trees can grow successfully with a quick, shorter season in early summer and a second, main crop in late summer through fall. Thus, I see a day made for baking. 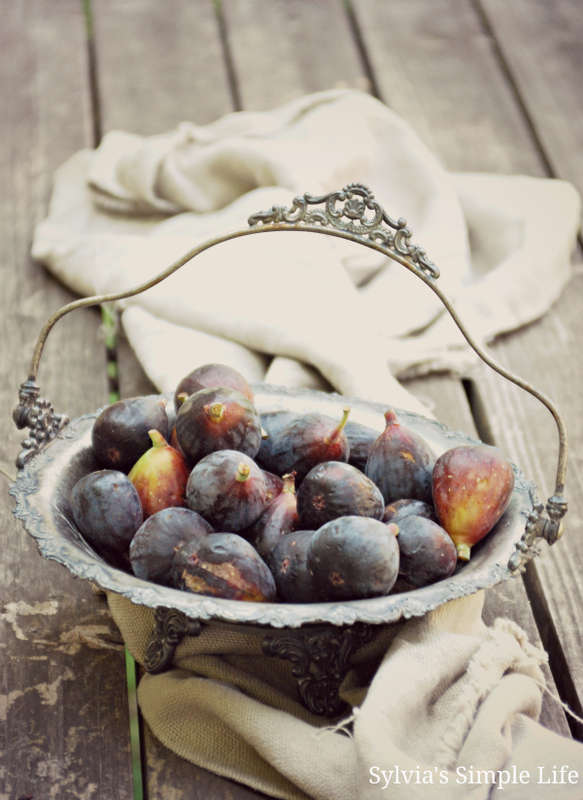 As much as I love having figs fresh, I wouldn't refuse these luscious fruits grilled or baked. And somehow I always pear figs with favorite goat cheese. This time, I am adding a teaspoon of ground lavender buds into the softened goat cheese to create a more "dramatic" and exciting flavor. Then, I am spreading the lavender goat cheese over a sheet of puff pastry, sprinkle chopped walnuts over cheese, mounding figs in the center of the pastry and drizzling it with honey. For a final touch, I sprinkle it with lavender buds. I am folding the pastry border up over figs to form a galette. Simple! It's quick and easy using sheets of butter puff pastry instead of making the dough. 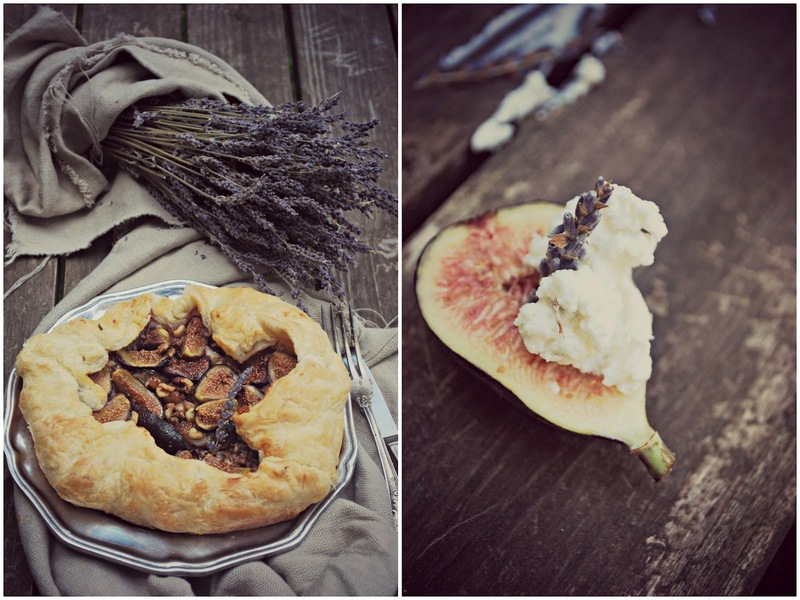 Figs, lavender, goat cheese, walnuts, and honey. Baked into an imperfect galette. Isn't it just what the season calls for? Have a delicious Autumn, Dear Friends! Oh my goodness! That looks quite decadent! I just recently discovered the wonderful taste of fresh figs. And I posted a recipe as well the other day on my blog. I may have to try this one too. I love your world. I ADORE your eye's view and your way of living...figs are the most beautiful fruit, next to a pear....the shapes and the hues of autumn...my dear, I am enjoying this season and I can feel that you are too. My dear, may I put your bloglink and a photo on my sidebar ??? I must ask permission as I never want to just take without asking. That first fig photo is marvelous! Let me know. OH, roasted figs over at Heidi's place....on a sandwich, doesn't that sound lovely? 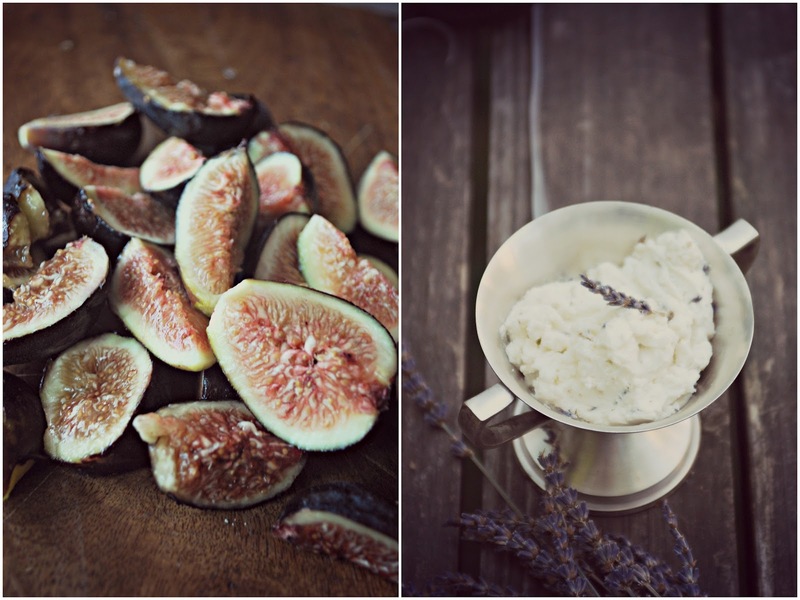 Believe it or not, I have never tasted a fig! I'm not even sure how to eat one or with what! 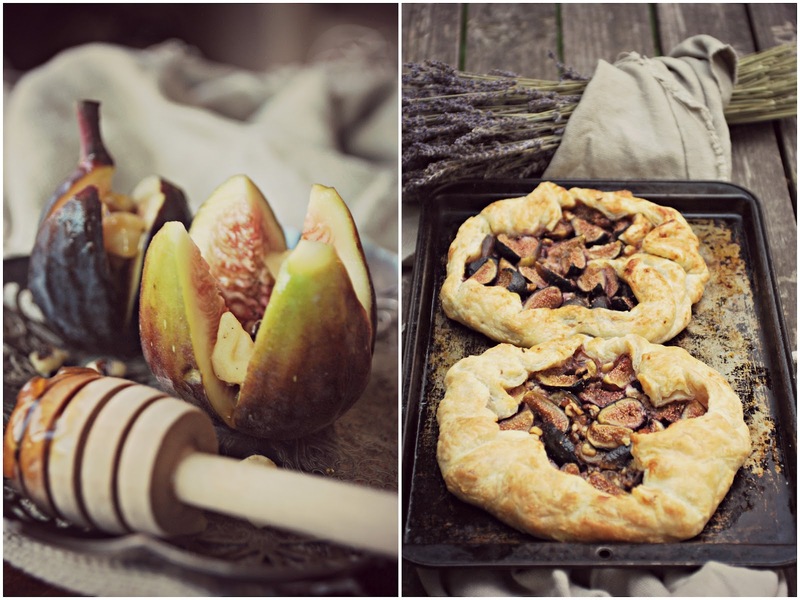 Your galette looks beautiful and inspiring, your photos gorgeous! Looks delicious!! 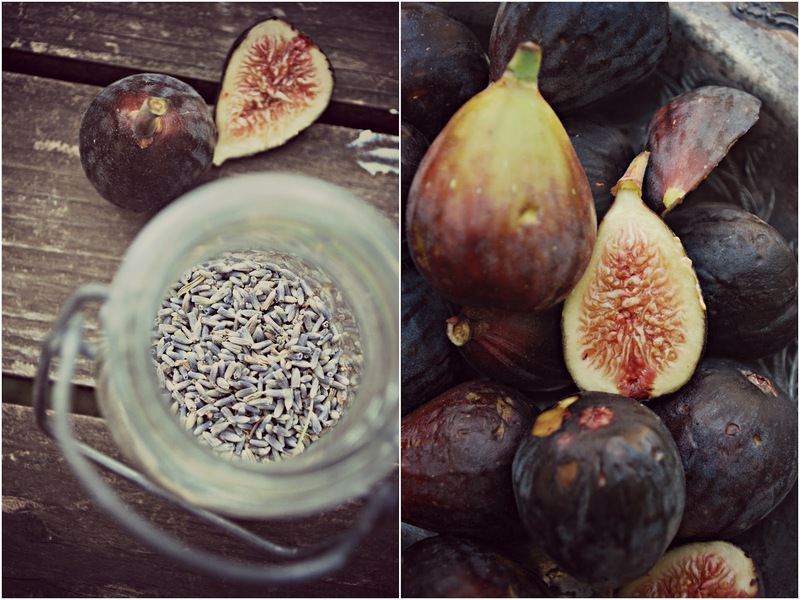 I looove fig, so I'm going to get it from now!!! Oh dear, when I open your page, I feel so many emotions....your ability to capture the moment in photos is like poetry to me. Your kind and generous comments about what I do help me KNOW that what I LOVE TO DO, and that is to create a moment in mult-media fashion, is something I want to nourish and continue to do. Your page to me "TASTES" sweet....like VANILLA. I always taught my students to use all their senses when composing a writing piece and to use them for the reader to FEEL through multi-sensory ways. YOU DO THAT. AND I THANK YOU for allowing me to use your FIG photo and link for the sidebar. 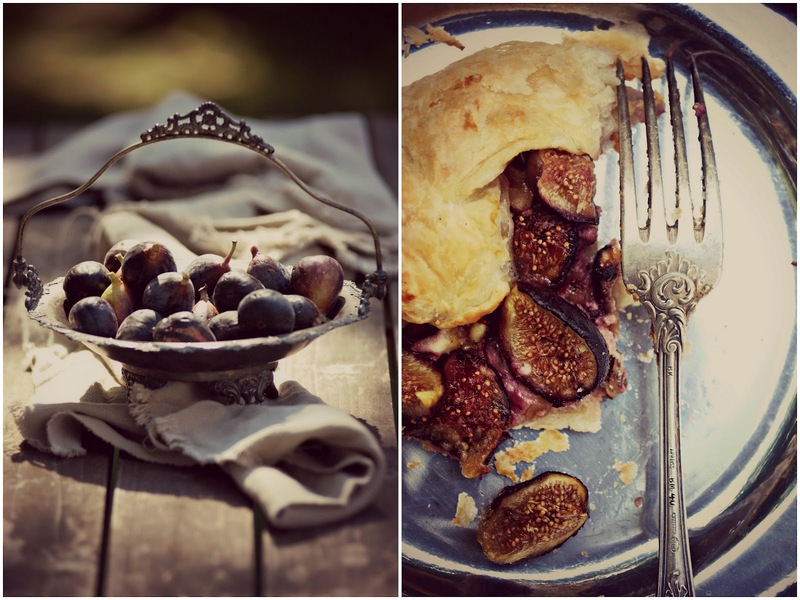 NOW I FEEL like making a fig tart!!! Or maybe something with delicious vanilla....TO MOVE your audience to action is the final achievement of an artist, I believe...you are an artist my dear. AMEN to everything our dear Anita said! Indeed, you are an ARTIST, beautiful Sylvia! Blessings, dear friend...enjoy the cosiness! Oh Sylvia...this post, your words, the recipes you shared....they're all so rustic French country! I love the way you look at autumn and find myself looking forward to cool, crisp days and snuggly nights sipping hot cocoa. :) Oh, how I love your blog, girlie! Beautiful photos and your words about Autumn sum up some of my favorite things of the season. The figs are gorgeous and they look wonderful. Happy Fall! Wow!!! Gorgeous post... with all that makes autumn such a lovely time of year! ENJOY!!! Beautiful! Thank you for joining HSH! such a beautiful post, Sylvia. your photos and thoughts say Fall so clearly. Makes me want to create something luscious and delicious! Found you at Anitas Blog and i looooooooove your wonderful pictures.......what a lovely autumn feeling!! Oh my goodness~~~~this looks amazing & very yummy!